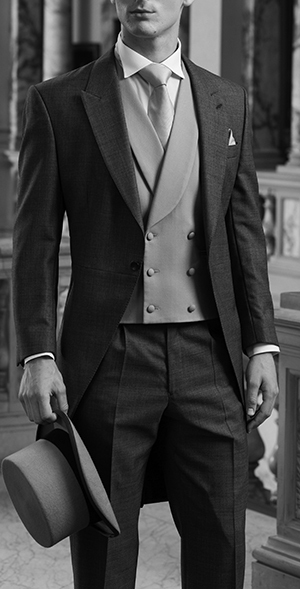 With over 30 years of experience in Morning Suit Alterations, we are London’s leading experts. When it comes to wearing a Morning Suit, the fit should always be your priority; poor fit will quickly outweigh the advantages of even the most finely made garment. For over thirty years, we have provided each and every customer with the perfect fit. 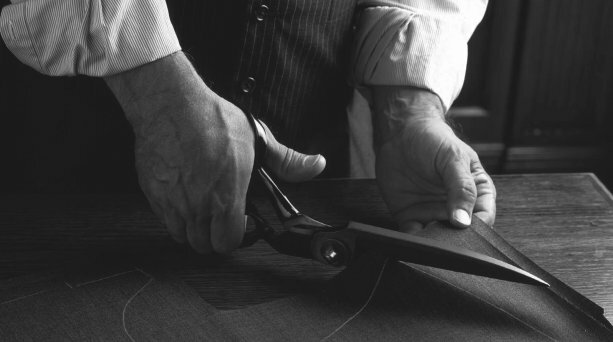 When performing a fitting, our master tailors recognise that each body type is unique and we have the expertise to find the best possible fit and style for each customer. This attention to quality and detail guarantees that whether we are giving your Morning Suit a slight tweak or performing extensive alterations, you will get very neat, precise and professional results. There are several key areas to focus on in terms of assuring that after a few alterations, you will have a beautifully tailored Morning Suit. This meticulous attention to detail is what makes us unique. Our highly experienced and talented Savile Row trained Master Tailors will work on your Morning Suit for as long as it is required to make your Morning Suit perfect. We will focus on your needs and work with you on a one-to-one basis. This means that the same Master Tailor you see at your first fitting will attend to you during all your fittings, as well as work on your Morning Suit. As our Tailors have at least 25 years of experience, we can assure you that your Morning Suit will be in the best possible hands. This makes us the number one choice for anyone seeking the perfect fit.